This is because it lowers your chances of cardiovascular disease and other health issues by 50 percent! 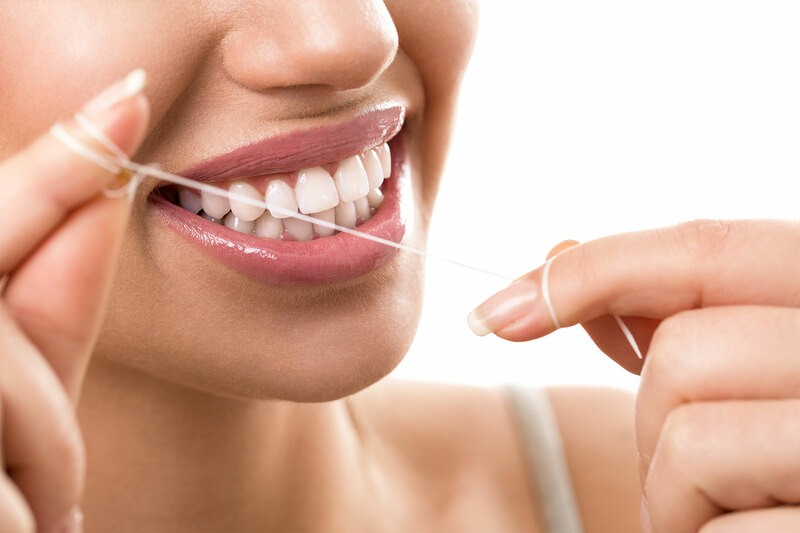 This means that not flossing doubles your risk of heart attacks, strokes and CVD. This relates to the fact above. Apparently, there is a tissue in between your teeth (that is not your gums) that builds plaque when you don't floss. Your immune system tries to get rid of it by attacking it, and the third attack to that really causes the issues. This one is nice to know because I don't imagine many people enjoy the burning of mouthwash in your mouth. Apparently, mouthwash kills the necessary bacteria and dries out your mouth which may even make your mouth smell worse. Apparently, Listerine was first used to clean hospital floors and equipment. Imagine that. She stated to not even go somewhere where metal fillings are being done. Apparently, they're easier to put in, but they also all have traces of mercury in them which literally kills brain cells. So it's a definite "no" from me. Toothbrushes, as expected, gather bacteria. And they become less effective over time due to the fraying of bristles. Also, don't keep reusing your toothbrush after you have the flu or something. It will not help you get better at all. Just buy a new toothbrush. Luckily, you don't need to spend a fortune to have good oral health. The soft bristles are great because they dig into the nooks and crannies of your teeth. It just scrapes your enamel and therefore makes your teeth weaker. Don't do it! It's the same reason soft bristle toothbrushes are better for you. This one was my favorite fact as someone who has had way too many cavities over her semi short lifetime. There is a sweetener that reduces your chances of tooth decay and some people even say it reverses tooth decay. It's called xylitol. It's in many gums, but you can also buy it to sweeten foods and drinks with. Tea is recommended because tea also has some benefits not only your mouth but your mind and body. Each time you put anything sugary or carb-filled in your mouth, your mouth sends acid in the form of saliva to rinse it out of your mouth. This is why it's better to just eat whatever you want to eat quickly rather than over time. Those many 20 minutes begin to add up and acid washes aren't good for anything, let alone your teeth. They truly work. And they are in no way damaging to your teeth. They simply bleach these pore-like holes in your teeth in order to make them whiter. You can bet I drove to Walmart to buy some as soon as I heard this, then I looked at the price and decided I was still too poor to care about bleaching my teeth at 21. Use this information wisely and spread with friends and family. At the very least, I hope you remember to floss tonight! Although my name is Oyinlola, I go by Lola. I'm a Junior at Ithaca College with a major in English and minor in Psychology. I grew up around the center of Connecticut and am a first generation child of African immigrants. I very much enjoy writing about my own and others' experiences and hope to spend the rest of my life doing so.